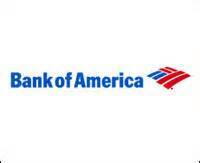 Bank of America Corp the second largest lender in the U.S. by assets said that profit in the fourth quarter fell by 11% as its revenue declined from its fixed income trading. Net income dropped by $3.05 billion equal to 25 cents per share, compared to the $3.44 billion equal to 29 cents a share from the same period one year ago. Excluding certain items, profit was 32 cents per share compared to analysts’ estimates of 31 cents. Brian Moynihan the CEO at BofA said in December that drops in revenue from trading and lower rates of interest hurt results for the fourth quarter. It was just the second profitable quarter for the lender in 2014 as costs from disputes with mortgages and investigations due to alleged exchange manipulation weighed on its results. Trading was not great for the quarter, said one analyst. Everyone believes that volatility helps with trading but over the short term banks were not in position. Firms on Wall Street including Citigroup and JPMorgan Chase have warned their investors that trading revenue for the fourth quarter fell amidst sharply higher volatility in the market. While the majority of the year saw low client activity due to calm markets, heightened volatility made for difficult trading near the end of the year, said CEO of Citigroup Michael Corbat. BofA in November lowered its earnings for the third quarter by over $400 million due to talks with probes on foreign exchange progressed with the U.S. Comptroller and the Federal Reserve. Later that same month, the bank agreed to make payment of fines in the amount of $250 million to the OCC. Legal costs that were tied to bad mortgages are now for the most part behind the company, said Moynihan in October. The bank agreed to over $70 billion in different settlements to resolve financial crisis problems, mostly due to its acquisition on 2008 of Countrywide Financial Corp a sub-prime lender. Moynihan took over as chairman of the board last October which united the two positions for the first time in 5 years.